Clinical research and testing laboratories have seen a fundamental shift in analytical tools and knowledge, which in turn has increased the variety, velocity, and volume of data being created.. High-throughput sequencing and more federated methods of integrating real-world data sources create new “big data” challenges for these laboratories. This raises the need for transitioning from the old legacy system to a more automated holistic approach to data management. 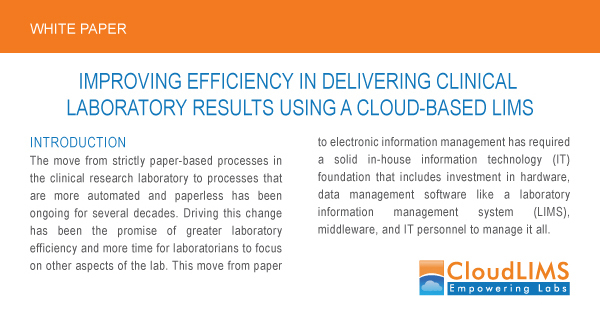 A LIMS hosted in the cloud offers flexibility, allowing for different hardware and operating system configurations based on the lab’s needs and providing wider, more global system availability. 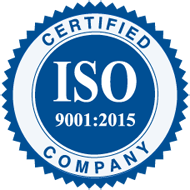 Customizable, configurable workflows and variable data sources and intake (the problem of data volume, variety, and velocity, as found in high-throughput sequencing and clinical research) are also readily handled in a cloud-based LIMS. 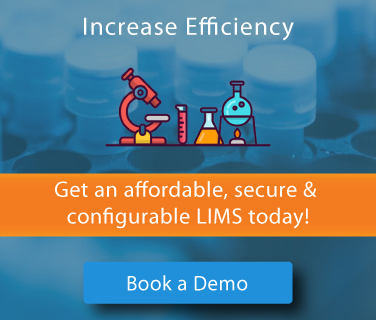 A cloud based LIMS is scalable, secure and has a reduced Total Cost of Ownership (TCO), making it a viable choice for laboratories with spread operations and working on a shoe-string budget.